The key to a successful SaaS business is in its customer support system. By following SaaS customer support best practices, businesses can ensure that they are assisting their customers at the right time with the right message. The customer support/service department is by far the most important department in every SaaS company. Essentially, effective customer support helps the company to reduce customer churn. It doesn’t matter how great the product or service is, if the customer service is poor, the business is bound to fail. 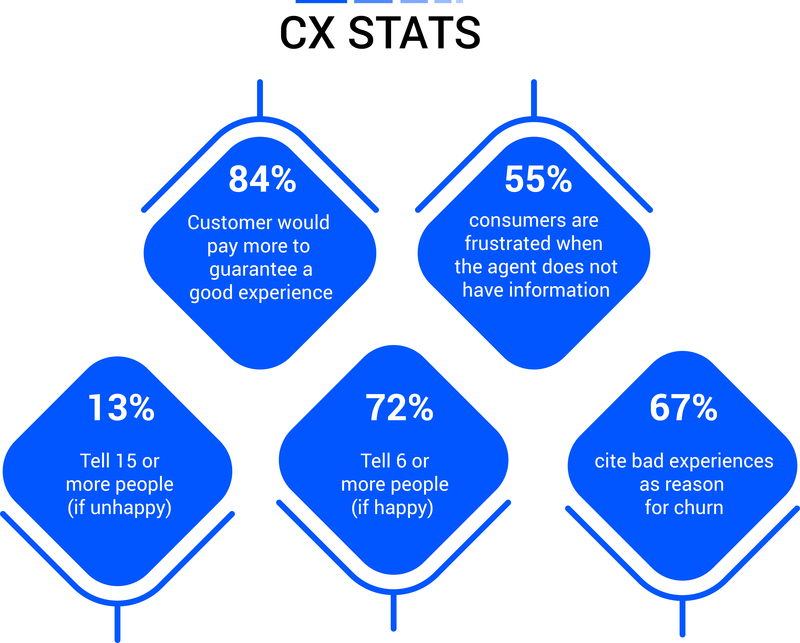 In a recent study by Slideshare, 67% of consumers list bad customer experience as one of the primary reasons for canceling their subscription. Having great customer service support will set you ahead of your competitors even better than pricing. Most customers are even willing to pay up to 25% more for better customer experience. What are the key elements of an awesome SaaS customer support? Track team's performance against set SLA like minimum response and resolution time. That being said, let’s take a look at some customer support best practices that will allow your company to deliver value, and, in turn, retain more customers. The truth be told, your customers are already frustrated if they are not able to use your software effectively because it's too complex or your software’s functionality isn’t working effectively. It could also be that they found a bug. You should not add to their pain by making it difficult for them to find your support link or widget. If you think this isn’t a factor, here’s an example of a brand that’s missing it. Recurly isn't helping users find their support link quickly. The link is hidden in the footer. Worse, it’s tiny! The above example from Recurly is a bad example of how not to do it. 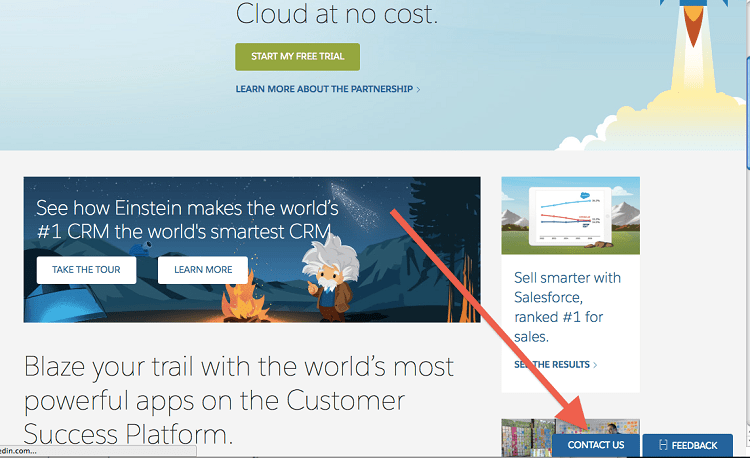 On the other hand, see how Salesforce positions their support link. The widget is pretty easy to find. The customer doesn’t have to struggle to find it. Make sure that your support link or form is easy to find on your SaaS website. If you want to get feedback from users, you must make this a priority. This should be the first step towards SaaS customer support best practices. In today's marketing environment, consumers have a high expectation when it comes to customer service. Providing support via email and phone, unfortunately, has become the default for most SaaS companies -- but it doesn't have to be so. One of the best ways to exceed customers' expectations is by providing a live chat system and making it easier for them to ask questions and get answers in real-time. On-demand support is what customers want when they are on your website or considering purchasing your product. Unlike other customer service support channels, a live chat agent makes it possible for customers to multitask. In other words, customers can focus on their day-to-day lives while also waiting for the agent to respond to their question. Implementing and managing a live chat system is simple, especially if you use popular solutions like acquire. Additionally, having a live chat agent in place will save both you and your customers cost. Live chat comes at no cost to the customer, whereas calling a support hotline can cost money. With co-browsing and live chat, you can also increase sales through an agent who addresses a customer's question and helps them navigate your website. Do you know that over 67% of users prefer self-service support over speaking to a company representative? Think about it, I don’t know about you but each time I have challenges with a SaaS company’s tool or feature, the first place I go to is their FAQs page. According to a study by Zendesk, a whopping 91% of customers said they would use a knowledge base if it met their needs. It goes without saying that you should make your frequently asked questions’ page useful. Create in-depth content to address common questions that customers usually come up with. And not only that, you can use a tool like Google Analytics to determine the keywords customers are using to find answers — and if the answers you already have are actually satisfactory to what the user expects. 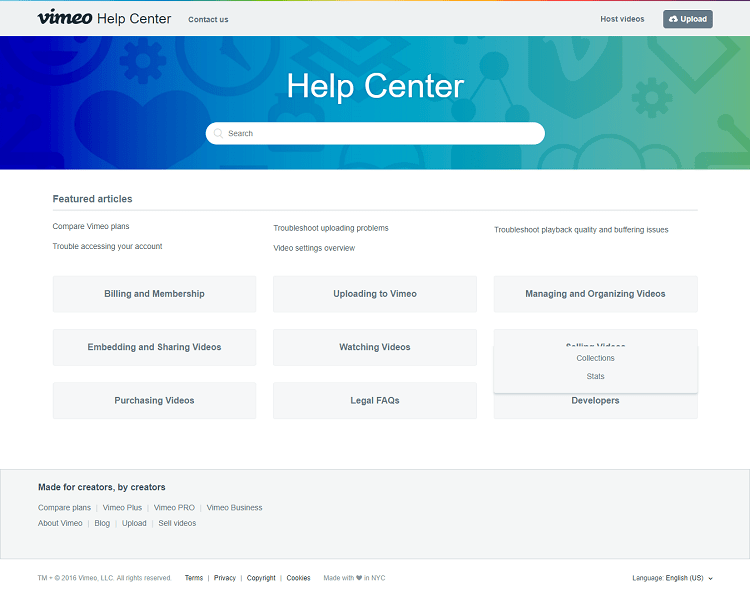 See how vimeo has designed FAQ page to address their re-defined questions for their customers. Having a clear knowledge of this can also help you to reduce the number of support tickets that you receive as users will be able to find answers to a simple Google search or page search. Having a clear knowledge of why you’re getting more support tickets is extremely important. To be honest, there is no software that’s bug-free. New bugs will surely surface. Especially if you’re adding new features regularly and consistently. However, you should do your best to eliminate bugs when you find them. That said, you should also be testing your features constantly to discover bugs before your customers even find out. No software is near complete. Even when you think your application is complete, there will always be missing features. Your customers will also complain and suggest features that will help their business or help improve their productivity. If you have many customers asking for this feature, you should consider adding it. This will not only make them happy, but it will also make them stick around. 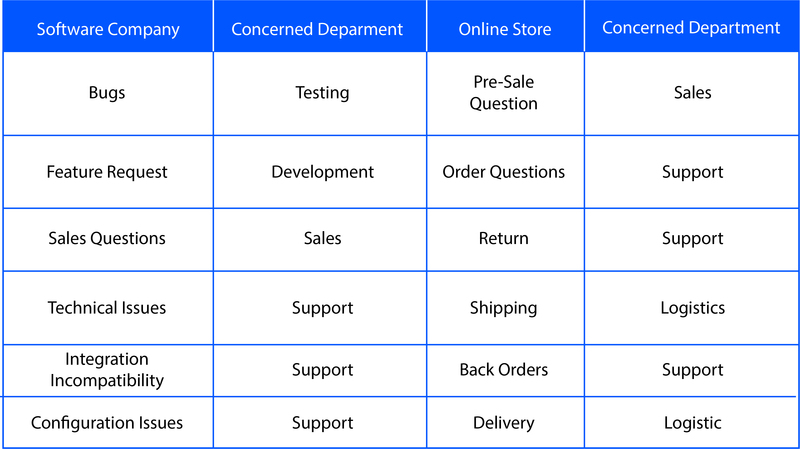 By deploying customer support best practices in your daily communication, you can easily identify categorize your customer support issues and assign the issue to the right department. The customer request is not exclusive to customer support. Every department in an organization is equally responsible to address specific customer request. Therefore it is in the best interest of companies to categorize their support tickets and delegate authority to the concerned department. However, it's difficult to manually filter each customer request and assign it to the right department. The better alternative is to use a shared Inbox which can automate the categorization of a request and auto-assign a category to each incoming request, so you can easily dedicate responsibility of specific request to a particular department. "Providing the best customer service means engaging your audience in various ways through various mediums." Customers want to contact and engage with your brand everywhere. The channel could be Facebook, Twitter, Email, Live chat, etc. And they expect you to be able to track their conversation with your brand. For example, Brian wants you to know that he’s the same guy who had a session with your customer representative via a live chat session when he connects with you on Facebook. If you can’t track this, you’ll get your customers pretty upset. It will also help you to track the resolved issues. You can use HelpScout which allows you to integrate a lot of support platforms and channel your messages to one place for easy follow up. Your app can be a great tool to offer your customers or prospects the best support ever since more people spend more time on their mobile app. Customer support doesn’t have to be tied to a desk, it should be tied to the customer who is almost tied to their mobile phones. Ensure you assign team members to handle the mobile app support effectively. 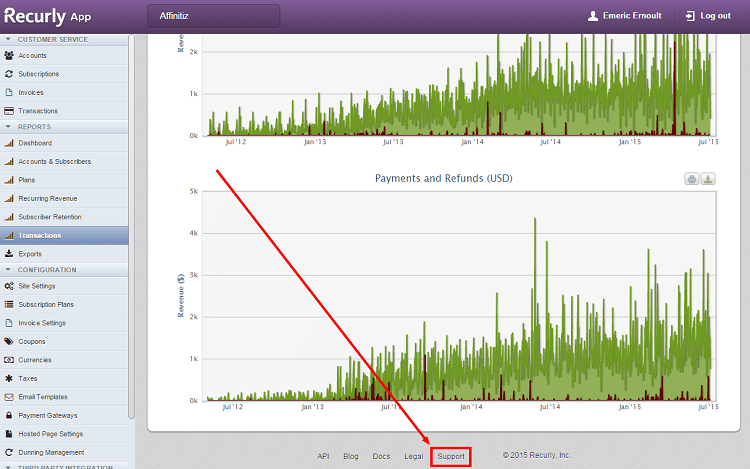 The acquire desktop and mobile apps supports are great tools to this effect. Is there a rule to guide your customer support standard? Maybe. The best customer service departments in the world have standards. That's probably the reason for their success. In 2015, Apple and Amazon appeared on the top list of customer service Hall of Fame, which was exciting. But the truth is that they operate with a standard. Steve Jobs was obsessed with customer support, and so is Jeff Bezos. How quickly customers must receive a response. How customers are to be greeted. How and when to follow up with customers. How to track requests and ensure nothing slips through the cracks. Any standards about responding to specific situations. This will go a long way to pass the same message across all customer support touch points. If you have the wrong staff in your customer support team, it can pose a huge challenge to your SaaS Company. Make no mistakes, not very enthusiastic and hardworking staff is good at customer service. Some people are just not meant to be there. Even if you have excellent features in your SaaS application, a poor customer service could just increase your customer churn rate. Beyond having a brilliant and enthusiastic customer service support who is obsessed with sales, you should also have someone who has the technical skills and exceptional customer service skills. One investment you’ll make and not regret in a hurry is training your customer service team consistently. Quality Inn Northern Grand used Service Edge to educate their employees in their responsibilities to create the Hotel's guest experience that subsequently made them emerge as the Canadian Hotel of the Year by Choice Hotels. The customer success staff identifies customers goals to stay engaged with the product, and have a clear understanding that success is subjective to each customer. These are the best people your company should have as they will help discover customer’s challenges with your product so you can fix them before customers even start requesting for them. That will reduce the number of support tickets you will receive. "Customer success is responsible for keeping customers engaged with your SaaS product and ensuring that they get value from it." Customer support and success department is obviously the department that builds the most relationship with customers. 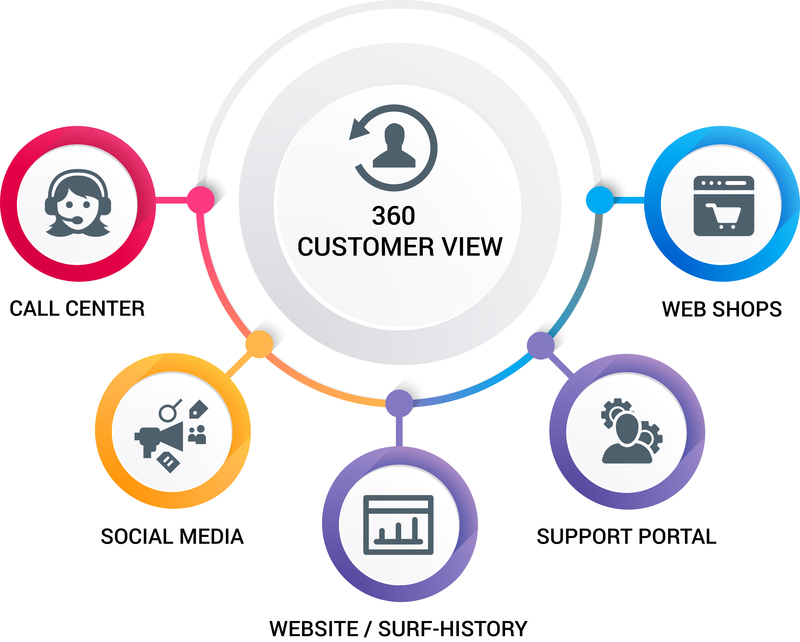 If you deliver responsive and personalized support on the channels your customers prefer, you'll likely connect and communicate with them at a personal level. I know of SaaS companies that don’t use customer relationship management systems and their process is just a mess. Using a customer relationship tool such as acquire, Salesforce, and Zendesk for collaboration can help streamline your customer support and successful operations. After each session with your customer, ask them to review your service. Yes, if you don’t ask, they might not tell you but they will tell many people. An exclusive study by a tertiary institution shows that customers will share their experiences with 8 people out of 10 persons they meet. So make efforts to get feedback from your customers after contact with them. And also, once in a while, you should send them emails to get feedback on their overall experience with your brand. Your customer’s satisfaction should be your number one priority. Because only happy customers will continue to do business with you, stick to your brand, and refer potential customers your way. Unhappy customers will leave and of course, advice their friends not to do business with you. It goes without saying that you should make efforts to implement these best practices for effective customer service experience and to delight your customers.